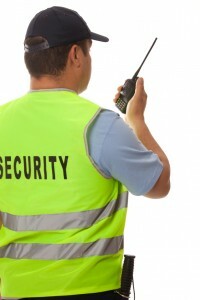 What Can Two-Way Radios Do? 8 Surprising Capabilities! 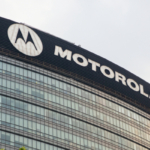 Highland Wireless: Providing In-Building Distributed Antenna Systems (DAS) > Blog > Blog > What Can Two-Way Radios Do For You? 8 Surprising Radio Capabilities! What Can Two-Way Radios Do For You? 8 Surprising Radio Capabilities! Two-way radio capabilities far surpass what many people realize offering a world of unexpected benefits and perks to businesses and individuals. As radio technology improves the benefits only keep getting better. Electronic chip sets grant GPS receivers their powers, and the technology behind these chips has greatly expanded within the last four-years. This means newer models include greater capabilities than ever before. Cell phones might be the most modern form of communication but two-way radios remains the most dependable form of communication for businesses of all types and sizes. These sturdy suckers can certainly handle a punch, plus they are equipped to keep everyone in constant communication without the distractions presented by cell phones. When you switch to two-way radios the benefits are aplenty… here are 8 surprising benefits radio systems offer. Many of the latest two-way radios include GPS capabilities that allow you to locate your team with one glance at the screen. This functionality also prevents team members from getting lost and wasting precious time on the clock. The options with GPS are endless and may benefit your business in many ways. This may also offer the opportunity to clock performance and uncover tricks to saving time and making more money. Bluetooth is included on many of the leading two-way radios and offers a number of benefits. For one it allows hands-free communication, which is vital in some industries, for instance cab drivers that are required by law in certain states to talk hands free at all times while behind the wheel. Other hands-on industries don’t have time to pick up a device to talk either, in which case the freedom of Bluetooth is very valuable. 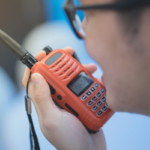 In emergencies two-way radios remain the leading source of successful communication. When everyone is trying to use their cell phones at once the airwaves become blocked and calls stop going through. With your own two-way radio system you don’t have to worry about this. Weather and other elements can also cause power outages and downed phone lines that cut off all forms of communication, unless you have a two-way radio. 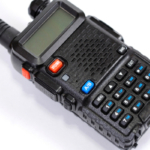 Dropping a cell phone can easily be the end of a device but commercial two-way radios are a different beast entirely. Radios are made to stand up to the challenges of work out in any field. A construction site, for instance, isn’t the place for a dainty little iPhone, hence why construction teams are almost always outfitted with two-way radios. There are a number of water and dirt-resistant radios, and almost all models are built to withstand a fair share of falls. Thanks to this durability you spend less money replacing devices and work environments chug along undaunted even if someone steps on their device or drops it in a puddle of water. 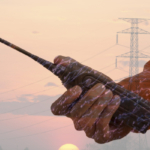 Two-way radios have only recently developed capabilities of conversing over a very long range. Most two-way radios operating on GMRS or Family Radio services typically only communicate across a few miles at most. All of that is changing with the latest Wide Area network capabilities offered by Highland Wireless. The latest developments in technology allow you to talk over 300 miles and it sounds like the person on the other end is right next-door. Contact us to learn more about our Wide Area network. Most people would agree that cell phones are very distracting. The last thing you want is to be distracted on the job, this can lead to unnecessary accidents and wasted time. Two-way radios don’t offer access to apps, games, or social media meaning the distractions are axed out while reliable and easy to access communication remains. Two-way radios don’t just offer verbal lines of communication; they also allow you to send text messages as well. When working under discreet conditions this can be extremely useful, as well as countless other scenarios. Some two-way radios do not come with a screen; in this case text messaging is not an option. If this is a feature you want make sure to keep that in mind. Two-way radios are far more affordable than other forms of communication. You can even rent radios for however long or short of time you may need them. You can supply every team member with a radio and service for the same price as one cell phone plan. Highland Wireless offers the latest two-way radios, reliable service and repairs for one low monthly price. Contact us today to learn more.